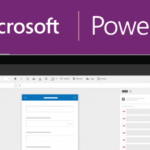 Microsoft Powerapps – A service without the expense of custom software development can build business apps that connect with data to work across the Web and Mobile. An enterprise platform that can play an important pivotal role to define your business is – The Microsoft PowerApps. These Microsoft Powerapps solutions give authority of unique platform and modiste the business apps that can justify anyone’s business goals. Microsoft Powerapps also extend or illustrate applications that are already in use with better solutions with minimal cost and time. These NO CODE platform to build the collaborative business applications that helps to build enterprise apps so quickly, streamline the existing data, enable sharpness and much more. The first question that comes in mind is what is low-code development, the answer is very simple an idea to build applications using a visual interface instead of line-by-line programming or coding. In-depth, a low-code is a concept based on ‘what you see is what you get’ that been around for a number of years but could not gain much popularity. Low-code is a tool for non-coders as using this just need to drag and drop a text field into it and can add a label, there is no coding required to lineup fields. Low-code development reduces the inception of knowledge that is needed to become a developer. The only requirement of code is to tell the application simple actions like what to show and what to hide and which path to follow when a button is pressed. The other basic requirements are that user must need to be familiar with excel scripts and formulas and can understand the technical assistance with drag and drop functionality that user will be able to build an internal app with PowerApps. As the demand for low-code platforms has increased. Recently, The Forrester has announced Microsoft Powerapps as the leader of Low-code development platform and also rated strongest on strategy. 64% of Low-Code development organizations have stated that an app can be delivered within four months or may be less than that. Organizations who are using Low-code development have shared their opinions as a happy client with the speed of app development in comparison to other organization who do not use low-code development. 32% of the organization has reported a lack of mobile development skills as an obstacle to app development. 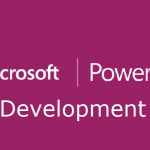 Why Go With Microsoft PowerApp for your upcoming app Development? At a single platform, powerapps gather all the business tools that are used by the business leads in their daily routine. These familiar office techniques can help a lot to a user to build their own apps that can connect easily with data and also publish the apps on iOS, Android and Windows. As we have discussed above Microsoft Powerapp solutions provide the faster development with independence to select the code and its language of their choice. In the fast development hierarchy, it’s also possible to build APIs through different sources. With Strong cloud services and secure sharing among the team across different devices, the user can craft own business apps with the help of simplified visual tools. Also can link-up the present data on the establishment and on the cloud. Microsoft Powerapps can combinedly manage all the APIs either on the establishment or on the cloud. It is a reliable platform as it operates in a secure environment. The edit permissions and accessibility of view are non-resistance. 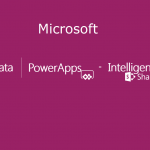 Why We as Microsoft PowerApps Development Company? 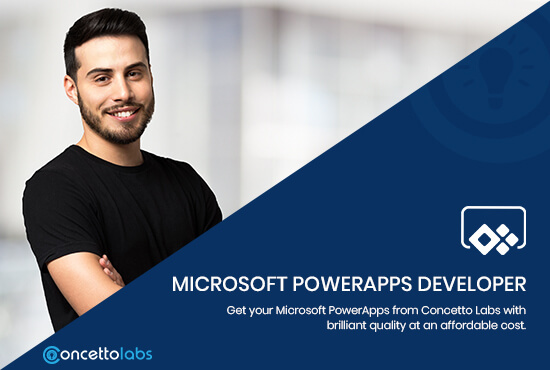 Contact us at Concetto Labs, We will guide you and work for you as of how to take the leverage of PowerApps at your Organization. Hire Powerapps Developers from us who offers 24*7 support for Microsoft PowerApps, Which is also a key component for the business application platform of Microsoft. We offer time-tested professional PowerApp developers and consultants for your business. We also provide a custom business solution in which we can design and create new PowerApps and debugging for the existing ones. The various services offer by us are Embed Apps, Build dynamic 365 functionality, Build Azure functions, Common data services for apps, Model-driven apps and Sharepoint integration. Through Embedded Apps we can create an application for you which will help you to grow a stable user experience. These will help you to grow more customer relationships and Drive sales through Dynamics 365. An Azure function is a function that allows developing a group of functions within a single unit and as we have that resources which help to build Azure function apps. Microsoft Azure-based services with common data services enable the developer to create an application in an easy way and also can extend their existing app. At Concetto Labs we will help you to develop Model-driven applications. We can provide the services by which your powerapps can have a place in the existing list of Sharepoint Online. 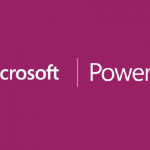 After reading this much information about Microsoft Powerapps, It is comprehensible that PowerApps helps to create a platform with less development time that can lead the organization to more automate the processes with connecting different cloud services as we have discussed above. Our team of Powerapps developer is constantly working on how to more utilize PowerApps that can easily develop a number of solutions for businesses.